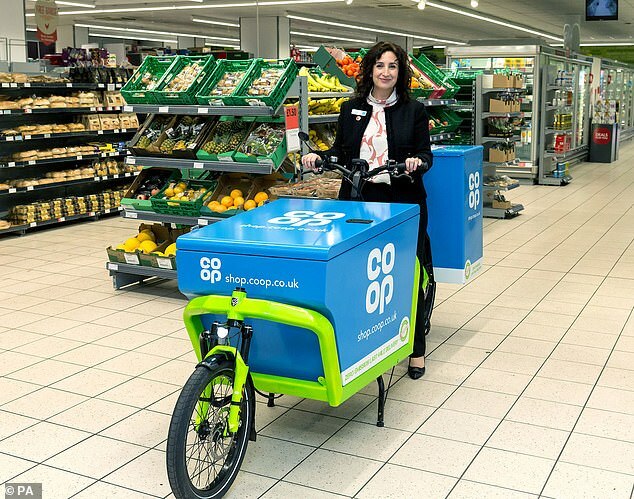 The Co-op is using electric cargo bikes to launch its first online delivery service. Customers will be able to get their groceries in as little as two hours through Co-op’s first internet shopping website. Its bikes are pedal-powered but boosted by an electric motor. The firm said the bikes will do the same job as a van but require a fraction of the energy, meaning they are more environmentally friendly. Customers have to spend at least £15 and pay a £5 delivery fee, or they can order online and collect in store for free. 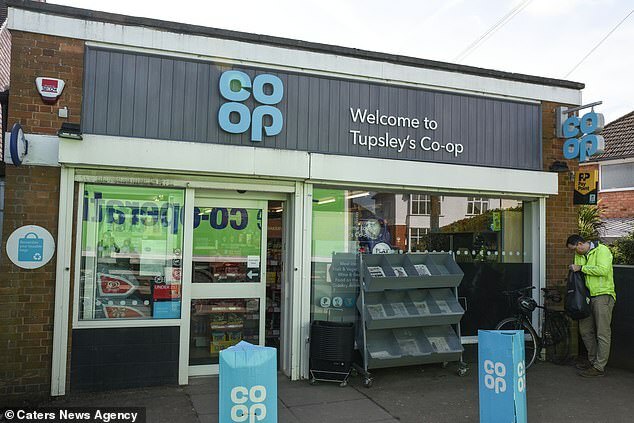 For now the service is limited to those who live within two and a half miles of Co-op’s Chelsea store, but it plans to extend this. James FitzGerald, managing director of e-cargobikes.com said: ‘We are thrilled that a highly respected national brand like Co-op are demonstrating environmental leadership by launching their online delivery service using e-cargobikes.